Old Country Sausage Shop is a Canadian food processing company headquartered in Alberta, Canada. The company is engaged in the production of different kinds of meat products including sausages, hams and other deli meats. 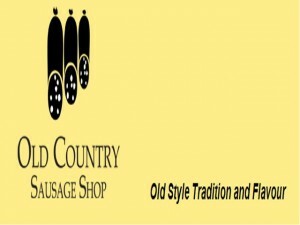 Co-founder Klaus Schurmann founded Old Country Sausage Shop after years of being an established sausage maker with years of experience under his belt. Over the past decade, Schurmann has received awards from the Alberta Food Processors Association and the Alberta Meat Processors Association. Old Country Sausage Shop’s success in producing a very good range of meat products can be attributed to Schurmann’s expertise. Although Old Country Sausage shop’s products were initially made using the traditional Italian methods, the company began to gradually introduce new products largely based on North America’s taste preferences. Old Country Sausage Shop products do not contain MSG, fillers, binders, or extenders, primarily due to a significant number of people having allergies. Moreover, the company’s sausages and other products do not contain any artificial coloring, nitrates, or nitrites. The company prefers, and ensures, that what they have is a pure product. To assure its customers, Old Country Sausage Shop takes pride in the fact that its meat is a hundred percent government-inspected. These meat products are made with very careful attention, especially when it comes to quality, hygiene and taste. In order to reach more customers, Old Country Sausage Shop had its first retail venue at Calgary Farmer’s Market. With this new retail shop, more and more food service operators began to patronize Old Country’s sausages. The company has since introduced new varieties such as Curry Lamb, Mango Fiesta, and Turkey with Sun Dried Tomatoes. Over time, the company also added ready-to-eat products, smoked products, and other processed meats (such as ham and bacon).